Elliott's System Wide Features offer functions which can revolutionize your day to day operations. Powerful printing, archiving, document linking, and emailing features will support the paperless office environment. Unlimited notes provide for easy reference throughout the system. Flexible and powerful CSV file import functions make everyday operation convenient and efficient. Production, sales, and purchase order personnel can take advantage of the powerful yet easy to understand MRP tool to create forecast, planning, actual orders, and more. Efficiency and cost reduction is the name of the game, and with Elliott's System Wide Features, you're company will stay ahead of the competition. Take a look! With Elliott's Note feature, you can maintain key information throughout the system. Notes can be used to record your phone conversation with your customers, vendors, employees, and more. Notes can be printed on selected reports (i.e. invoices, picking tickets, acknowledgements, Bill of Lading, and more). Notes are integrated with the new tickler function. Notes also have an advanced search function. This function builds upon the powerful Elliott Notes feature. It allows you to use your existing notes as a knowledge base. You can search for notes using selection criteria. The notes can be searched by text phrase, creation date, type, owner, and more. This you a convenient way of referencing note information within Elliott. Elliott will allow users to launch a menu item automatically from the command prompt. For example, NW32 02 0101 02 will start Elliott in the A/R module, customer file maintenance, and change mode. A graphical user interface laser form designer is used for the laser forms implemented in Elliott. The designer allows you to create a template for each form, such as invoices and purchase orders. For each form you can change the margins, change the line thickness, color and position, specify your own text literals and use your own company logo. To learn more about how to design you laser forms now, click here. Elliott supports all Windows printer names up to 220 characters long. Elliott also supports saving printer dev mode, which means any printing characteristic of a printer driver can be saved and remembered in Elliott by workstation and report. For example, you may choose to print a certain print job to a certain printer and paper tray and Elliott will remember that and use it the next time as the default. You can also send a print job to multiple printers at the same time. For example, you can print one copy of a picking ticket in the office and one copy to the warehouse at the same time. From the print options window users now have the option of choosing "Email" in addition to "Print", "Defer", "Screen", and "Spool To Disk". The print job will be sent as a .TXT file attachment. This is particularly helpful in emailing order acknowledgements to customers or emailing weekly reports to supervisors. It is important to note that the Email functionality found in ELLIOTT will be greatly expanded upon in future updates. The system will bring up your default browser and bring you to the home page of Elliott Business Software. etc.). For example, the contract you negotiated with a customer may be a word document. You can put that into the link for that customer. An image for an item can be setup in the link for an item as well. A hot key can be assigned to link. For instance, you can simply type ALT-I (or any key you choose) to bring up the item image from the item file maintenance or stock status inquiry. In addition, you can use Link to implement view map features. Elliott will provide the view map feature in the customer file maintenance/inquire, vendor file, employee file, salesman file, order inquiry and invoice history inquiry. For example, from the customer file maintenance screen, by pressing a hot key, the system will launch your browser which will take you to Yahoo Map and show you the customer's location on the map. As its name implies, Event handling is an event and action feature. For example, your customer would like to be notified when a particular item is available. With event handling, after you have completed Purchase Order Receiving for the item and posted it, (this is the event), an e-mail will be sent automatically to your customer, (this is the action) notifying them that the item is available. Or perhaps, your sales people would like to know when an order is placed by any of their customers. In this case, when an order is entered in order entry (this is the event), an email is sent automatically to the salesperson, (this is the action), with the order and customer information, or whatever information you specify to be emailed. Age Customer Account Balance with Detail Events by Customer: This detail event allows the supervisor to monitor when a customer is past due over a certain amount or certain time period. Order Entry Event Add Total and Order Type: This improvement allows the supervisor to monitor any sales order or credit memo greater than a certain amount when it is created. Invoice Printing Management Event: Provide an management event to show the total information of a invoice printing batch. Management may be interested to know the total invoice amount printing when each batch of invoices is printed. 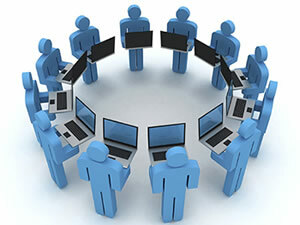 Think about Event Handling in terms of the e-business solution you want to provide your customer. Event Handling is a one of the features that truly makes Elliott "Internet Ready". The mass e-mail program is a powerful marketing tool, which utilizes the integrated e-Contact database as mentioned above. The mass e-mail program can be launched from inside Elliott and uses filters to search through all existing contacts and select the appropriate contacts to send emails to. The email may include attachments and such coded fields as customer name and credit limit. Coded Fields are selectable from a Tree View of predefined fields and their attributes. Similar to Mass E-mail, the Export Processing function can also be launched from within Elliott. The Export Processing is a usefull marketing tool which allows you to export the following files based on defined conditions: Customer, Vendor, Employee, Item, Order Header, Order Line, and more... The export file can be merged into Excel and saved as a spreadsheet. This utility is like having a reporting tool at your finger tip and simple enough for everyone to use. In Elliott, the administrator can force either all or some users to periodically change their password. The administrator can also define the number of login attempts allowed before the user account is suspended. A summary format of User List is provided now to make it more readable. The administrator can link a user to a salesman. If a user is identified as a salesman, additional restrictions will apply to this user to prevent them from accessing another salesman's orders or customers in the following areas: Contact manager, order entry, order edit list, acknowledgement, quote printing, sales desk, stock status inquiry, freight calculation, order and invoice inquiry, open orders by salesman report, customer file maintenance & inquiry and customer account inquiry (both original and summary). By utilizing Internet and Terminal Service technology, it is now possible to allow remote sales or manufacture rep to login Elliott to view their orders, invoices and customers information securely. Allow the user to change or delete a sales order once the picking ticket is printed. Allow the user to create sales orders. Allow the user to delete sales orders. Determine access right to credit card information. Allow the user to override terms code or salesman in order entry. Allow the user to override discount percent. Determine access right for change and delete customer records. It is suggested that you review new Elliott security flags in Global Security immediately after you upgrade to the latest version of Elliott. If you wish to set up an E-Commerce application that ties directly into Elliott's accounting and distribution application, they can easily do so with Elliott Business Software because of the Webservices Components. and you can use any tool such as Visual Basic, ASP.NET, Visual C++, etc that supports Webservices. 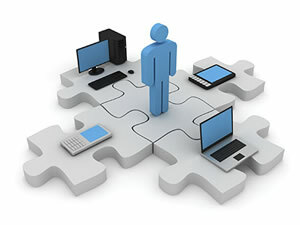 The Webservices Components are available as an add-on package to Elliott Business Software.